The Norman Voyager has a capacity for 550 passengers, a selection of comfortable cabins for a restful night’s sleep and a superb range of facilities to keep you occupied during the trip. There is a great range of 4 berth inside and outside cabins on the Norman Voyager with something to suit all budgets and requirements. There is also a cabin available for passengers with disabilities and a cot is available upon request at the reception desk. The Norman Voyager’s spacious Seaside and Horizon Lounges house comfortable reclining seats which will allow you to rest or sleep for the journey ahead! 'Le Bistro du Norman' self-service restaurant is situated at the front of the ship and is the perfect venue for a sunset dinner or to watch the sunrise over breakfast. In the Shamrock Pub you'll find a superb range of wines, beers, spirits, cocktails, soft drinks and tea and coffee. In the shop onboard the Norman Voyager you'll find a wide range of alcohol, tobacco and perfume, as well as books, regional souvenirs, chocolates and confectionary. 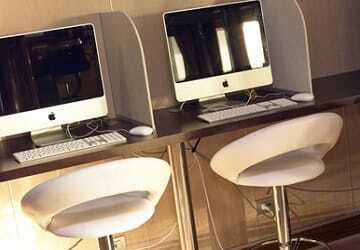 Euro, Sterling and Credit/Debit cards are accepted for payment onboard. For those that wish to stay connected WiFi is available onboard for a small supplement. Please Note: Whilst we have taken great care in making our Norman Voyager guide as accurate as possible, onboard facilities, services and entertainment may vary depending on the date and time of year that you travel, facilities mentioned may change without notification and ferry companies reserve the right to operate vessels other than those mentioned at time of booking without prior notification. 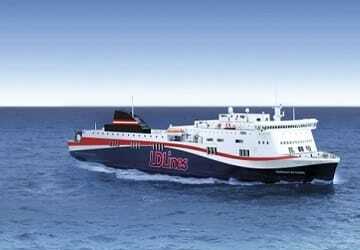 "LD Lines / DFDS Portsmouth to Le Havre"
Excellent value for money ferry operator and crossing. Screaming child for 4 hours of 5 hour crossing slightly irritating. All the crew were as friendly and helpful as usual. Tasty food and bar snacks. 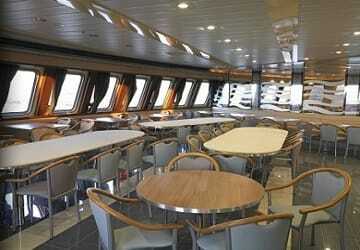 Immaculately clean ship including the toilets. The shop was well stocked for holiday gift purchases. Short organised boarding and disembarking of vehicles as usual. It is such a shame that DFDS have now ceased this route leaving no competition. "Trip to UK for Chrismas"
It was not difficult to find the ferry port at Le Havre and the staff were very good! I was pleased to get a return crossing that was a very competative price,especially sailing just before Christmas and returning for the new year. The overall ferry journey was clean, efficient & comfortable. I thank DFDS directferries as i have recieved my lost passport in the post. I dropped it on board and it was found the same day when i contacted the ferry. The only request i have is if all lights could be turned out during the night crossing in the lounges with reclining seats. very pleased - crossing on time food good and everything OK.
Boat was quiet but not over warm. Loading in UK seemed to take ages whereas in France we were whisked straight on, having arrived 60 minutes before sailing at each port. Unloading seemed lengthy, due to much manoeuvring of trucks, 30 minutes plus in France. Overall 7/10 Will travel with Direct Ferries again. From arriving on-board we were greeted like old friends by the deck handlers, pursers office staff, Bar staff and restaurant crew. 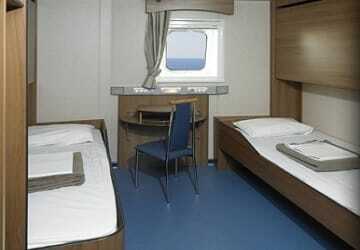 Our cabin was very clean and comfy, and after a drink in the bar area as we left the harbour was welcoming. Only thing that I would like different would be Hot food to be hot, not luke warm that needs microwaving. We returned on the same vessel and as above were made to feel very welcome, Highly recommended and will be returning with the same company. We took our car over to France using the Portsmouth to Le Havre crossing. As there were very few passengers on board, we were informed that they would stop one of the engines. This made us one hour late in arriving in Le Harve. The food was also of pretty poor quality. 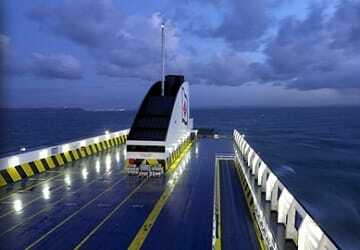 Six weeks later, for our return crossing I decided to travel with DFDS. This was a much better appointed ship with better food and service. It was on time and was even cheaper that the outward carrier. Many thanks, DFDS. Check-in, loading and disembarking all very efficient. 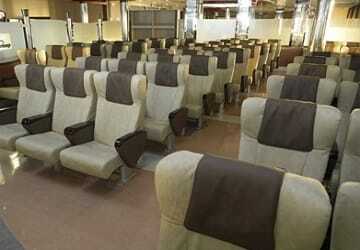 Facilities on board more than adequate. Only problem was attempting to sleep in the 'reclining' seat. As a solo traveller the cost of a cabin was prohibitive. I used the ferry last week and found most things to be satisfactory. The bed in the cabin was comfortable enough, although I could have done with a thicker pillow, and the blanket wasn't sufficient for my travelling companion who needed to wear her fleece in bed. I was delighted to get on and off the ferry very quickly as frequently even though I invariably arrive early, I am one of the last off the boat. ( perhaps because usually I travel in a higher vehicle) I didn't use the restaurant, but the food looked appetizing. The ferry I think was the Seven Sisters, not the Norman Voyager. I find LD Lines to be much better value for money than Brittany Ferries, and it will be a pity that this route may close. The trip to France on the 14th of Nov 14 was very smooth and service to the ferry was very smooth also all the staff were very helpful, ferry was clean and tidy would recommend the company to any one. "A good but rough Crossing"
We found the staff and the facilities aboard the seven sisters to be very good. As we were out off season I can only assume there was less passengers which gave us a choice of seating and the amenaties. The food was of a high standard and was very welcome after a several hour drive to the dock. The only draw back was the weather going to France it was quite choppy which we were warned about its a shame the DFS ferries cant control the waves and it would have been perfect. "From Le Havre to Portsmouth"
We had a very good, comfortable journey. Embarking with the car was accomplished efficiently and quickly; the self-service restaurant opened before we sailed and we enjoyed our meal. Our cabin was basic, but clean and perfectly adequate. We sailed and arrived on time. We think the crossing was very good value for money. 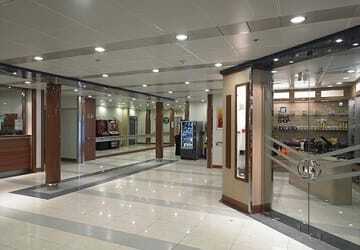 Lovely smooth crossing (both directions) Staff were very helpful and friendly. 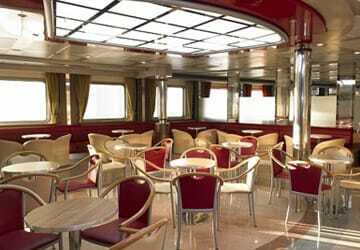 Food in the restaurant was very nice and a welcome start to a long journey after disembarkation. Facilities were good although toilets were a bit smelly and the air conditioning in the seating salon seemed not to be on making it very warm on the return journey. Overall an enjoyable experience, would travel this route again. "My Trip to Le Havre"
My trip to Le Havre was a late night trip, we left Portsmouth on time and was soon out off the harbour and on my way. It was just a couple of days after the last of the hurricane had relented so I was a bit uneasy about the crossing, but all was well and I arrived on time. thank you D Kendall G/Facilities: Only one urinal in service in the toilet. "life on the ocean waves"
excellent service, would use DFDS in the future. I needed to change my departure time from Le `Havre and the lady in booking terminal who helped me couldn;t have done a better job.